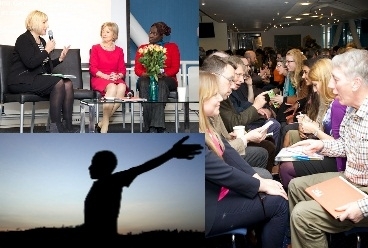 Inspirational and powerful key speeches were the order of the day at the International Summit, which was held on a bright March day at the Millennium Stadium in Cardiff. First Minister Carwyn Jones talked passionately about Wales’ contribution to Africa. He also spoke in support of LGBT and human rights issues. Power was the key theme in the CEO of the African Women’s Development Fund. Theo Sowa's, message. She argued that power lies in us all and added that poverty should not be equated with a lack of power. Baroness Glenys Kinnock championed workers' rights and how to fight inequalities at work. Access resources from the 14 different workshops held at the event via the Hub's Summit Resources page. Relive the debates on twitter #W4A2014. This month saw the release of a major UN report into the effects of Climate Change into what it describes as “catastrophic” changes to the world climate. It added: “Some of the poorest communities in the poorest countries in the world are going to be the worst hit." Oxfam explains the highlights of the report in a blog. With the climate change threat, it is an important time to discuss these issues for Wales and Africa.The Africa - Wales: Climate Change conference in Machynlleth took place on 4 April. Speakers explained the science behind Climate Change and explored the potential for mitigation measures. The WCIA partnered the event, which illustrated climate change through theatre and puppetry. Find out more. The Free and Equal Campaign is the UN’s global public education campaign to raise awareness of and respect for lesbian, gay, bisexual and transgender (LGBT) equality. UNA’s Wales will be promoting this campaign over the coming months. LGBT equality has had a roller-coaster ride for the last few months, with huge steps forward such as marriage equality in New Zealand, contrasted with bad news such as attacks on a gay pride parade in Montenegro. To learn more on this campaign visit the campaigns website and our blog. A campaigns event will be held later in the year. 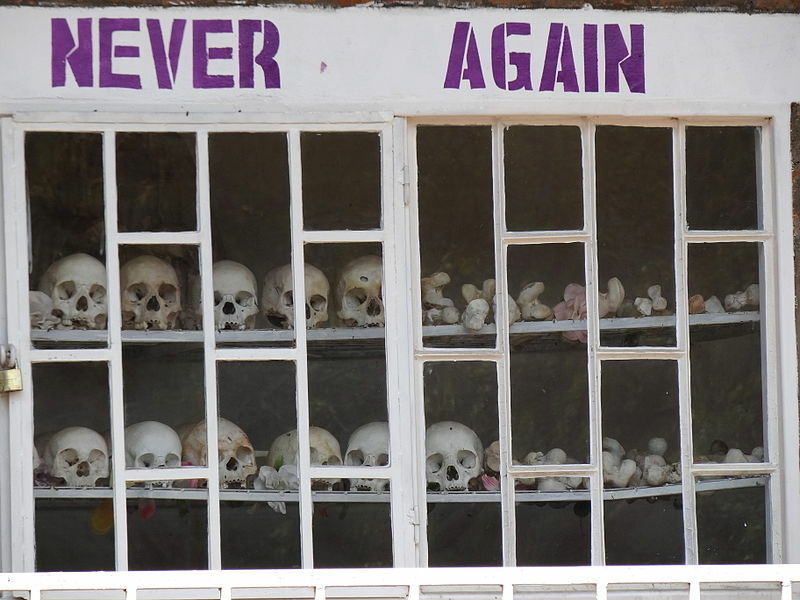 7 April marked the 20 year anniversary of the Rwandan Genocide, when a fierce attack on the Tutsi minority ethnic group began under the cover of war. In a matter of weeks 800,000 men, women, and children perished in the Rwandan genocide, up to three quarters of the entire Tutsi population. The Responsibility to Protect (R2P) was born out of events like the Rwanda Genocide, it aimed to cease such atrocities by ensuring the state and international community’s ability to protect civilians from gross violations of human rights. UNA-UK are campaigning for the UK government to meet its R2P responsibilities, robustly implementing the R2P principles and prevent mass atrocity crimes like the Rwandan Genocide taking place in the future. You can contribute to this campaign by signing the letter addressed to Mark Simmonds MP, Minister for Conflict Issues at the Foreign & Commonwealth Office. As the European Elections draw closer there are a number of events across Wales. March saw discussions take place in Swansea "Wales’ cultural life has been enriched by European immigrants" and “European Parliament Elections”. Discussions continue into April and May with “What has the European Commission ever done for us?” at Cardiff University and “Europe, What's the point?” at Bangor University. Learn all about the European Elections or make your voice heard and check out events near you with our events calendar. 14 May 2014, 5.30-8.00pm, Reichel Building, Bangor. Register here. Email or phone for more information - 02920223088. 6 May, 7.30pm, Highfields Church, Mortimer Road, Cardiff. 3 June, 7:00-9:00pm, Temple of Peace, UNA Cardiff. 12-24 July, Atlantic College, deadline 1 May 2014. Support the WCIA - find out more. Join UNA Wales and UNA-UK. Take a look at other campaigns happening across Wales.